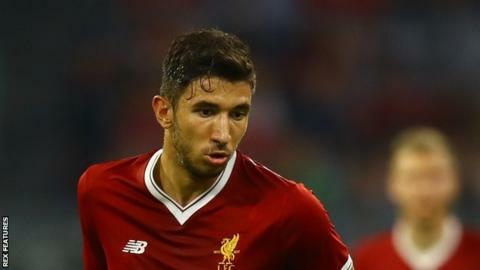 Cardiff manager Neil Warnock says new loan signing Marko Grujic must play in at least 14 games this season, otherwise the Bluebirds will be "financially punished" by Liverpool. The four-times capped Serbia international, 21, has joined until the end of the current campaign. "It's quite acceptable. I think it's a good deal for both parties, because I want to play him," said Warnock. However, Warnock revealed striker Danny Ward is out for the rest of the season. Midfielder Grujic joined the Anfield club from Red Star in January 2016 for £5.1m. Warnock added: "I'm not signing him to make the numbers up. He's a good lad and a good player. All of our scouts have recommended him to us." Grujic has played six games for the Reds this season and Liverpool manager Jurgen Klopp is keen for him to play more first-team football. "I think we can be good for him. I think we can get him match-fit. There's a World Cup this summer, and he has ambitions to go to that. So if we can get him up and running, that will be great for both parties," Warnock added. "We won't get punished if he gets injured and things like that. We've got 19 league games, and hopefully he'll play in all of them. "A lot of clubs take players from the Premier League and don't play them. Well that's a waste of time. Same as me sending someone out, if they make up the numbers it's pointless. "We'll have to look at penalising clubs if they don't play them for a percentage of games. "Jurgen really likes the lad, and he wants him to continue his education. And he just wants to come and play." Striker Danny Ward is unlikely to play again this season after the 26-year-old underwent knee surgery in December. And Warnock is keen to bring in another player in his absence. "I'd like to sign another striker. I think we're a bit thin with Danny Ward being out all season, and we're progressing with that," he said. "There's four or five names being mentioned, and we're trying to get one in before the end of the window." Warnock also revealed the Bluebirds failed in their attempts to sign midfielder Adam Forshaw who joined Leeds United from Middlesbrough.